Missy was a former bullmastiff of mine that died at 12:30 pm, Tuesday the 11th of Jan 2011 by euthanasia due to being terminally ill with unexpected cancers with little to no hope of any form of recovery other than a few months of a painful life. Missy was about 7 years old before she died. In her respect, comments are turned off. 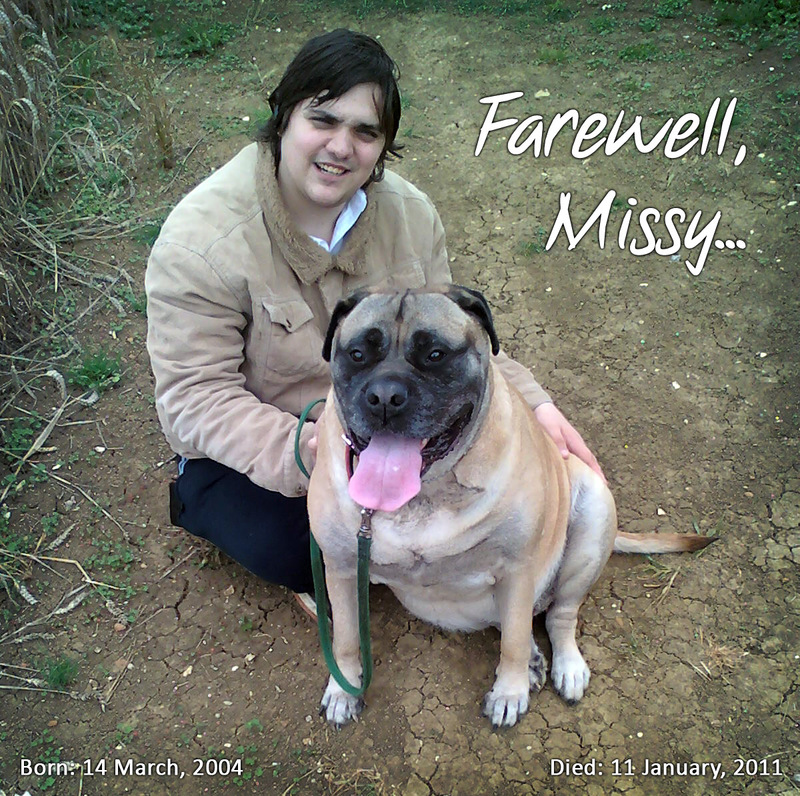 This entry was posted in Rants and tagged Bullmastiff, Cancers, Farewell, Missy, Missy Missy on 11th January 2011 by Snat.